We are Temporarily Out of Stock of Level 3. Please Consider Ordering Level 2 by Clicking on the Peachtree Pets Link Above (immediately above the yellow customer review stars). Peachtree Pets was founded on the time honored principals of honesty and integrity. We promise to use the finest ingredients and comprehensive quality testing to offer healthy formulations you can trust. Peachtree Pets stands behind all our formulations with a full money back guarantee. The best selling "Glucosamine Chondroitin Plus MSM for Dogs" has a new name - "Peachtree Pets Hip and Joint Level 3" and a new, more potent formula with improved expiration dating and new maintenance dose. Use less each day and save money. 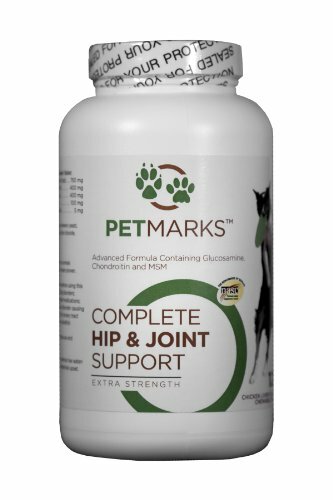 Peachtree Pets Hip and Joint Level 3 combines Glucosamine and Chondroitin with MSM to provide a high-quality, affordable supplement to support your dogs healthy hip and joint function. 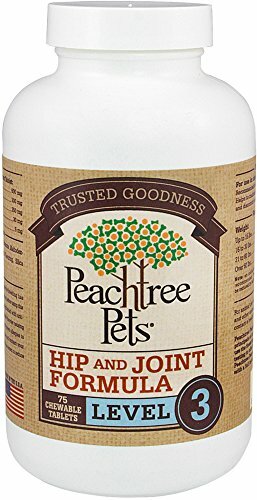 Peachtree Pets Hip and Joint Level 3 is for use in dogs. Peachtree Pets Hip and Joint Level 3 helps to maintain joint flexibility and alleviate aches and discomfort associated with exercise. 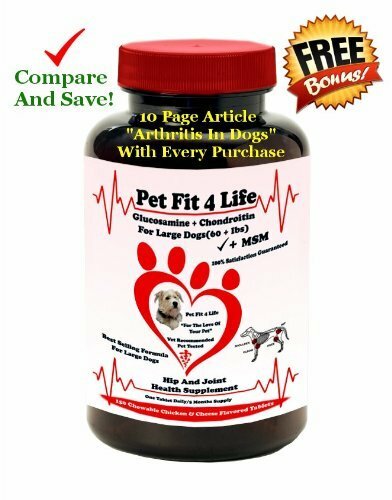 Betta Bridges Pets Dog Glucosamine+MSM+Chrondroitin+Joint & Hip Support Nutritional Food Supplement for Dogs Suffering With Arthritis Pain, Discomfort-Natural Formula For Dogs with Essential Oils, Honey, Chondroitin, MSM. Liquid Non-chewables-easy to digest and Works Fast to Relieve the Pain. Tastes Great -100% Money Back Guarantee At a Great Price. 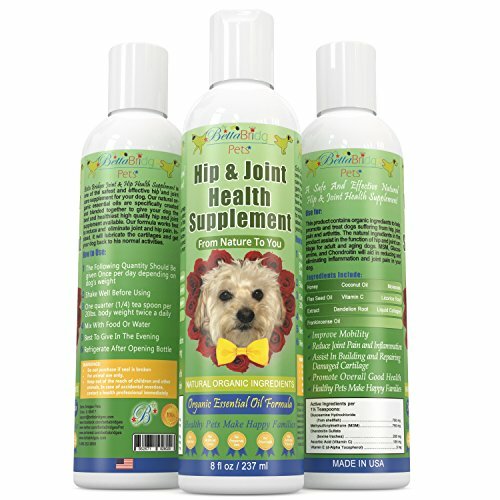 MSM for dogs that helps support healthy joint function. Your dog?s joints work hard, and natural fluids help keep cartilage healthy by lubricating the joints. But normal wear and tear, age, injury or degenerative diseases can take its toll. You can help your dog maintain good joint health and mobility by adding InflamAway Plus hip and joint formula to his daily care program. Formulated without artificial fillers, InflamAway Plus contains 500 mg. Glucosamine HCl, 100 mg. Chondroitin Sulfate, MSM, Yucca and Vitamin C, making it an extremely powerful joint support formula. Glucosamine, which is a natural compound found in cartilage and other connective tissues, works to control inflammation and maintain and repair joint cartilage. 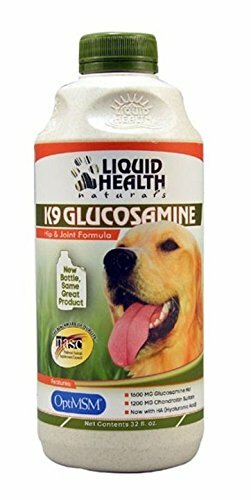 Glucosamine comes in two forms (hydrochloride and sulfate), we use Glucosamine Hydrochloride (HCl) in InflamAway Plus. While both forms have been shown to be effective, we believe the more concentrated HCl form is superior as it delivers on average 25 ? 30% more Glucosamine for a given weight than the sulfate version. InflamAway Plus provides your dog with a highly pure concentrated source of Glucosamine that can be readily absorbed into his system.dog playing frisbee catch InflamAway Plus effectively combines the Glucosamine with high grade Chondroitin Sulfate, which studies suggest inhibits enzymes that destroy cartilage and assists in the production of synovial fluid and collagen. Research indicates that Glucosamine and Chondroitin Sulfate are complementary and are more effective on joint function when combined together. And vital to joint, tendon and ligament health, MSM is a naturally occurring sulfur compound that helps fight inflammation and supports the formation of strong connective joint tissue. InflamAway Plus Benefits: Supports healthy joint and soft tissue function Glucosamine Chondroitin and MSM for Dogs Botanical anti-inflammatory compounds including Yucca, Curcumin and Boswellia Delicious hickory flavor that your dog will love! HIP+JOINT XL is a comprehensive formula for the support of hip, joint and connective tissue functions in large dogs at any stage of life. 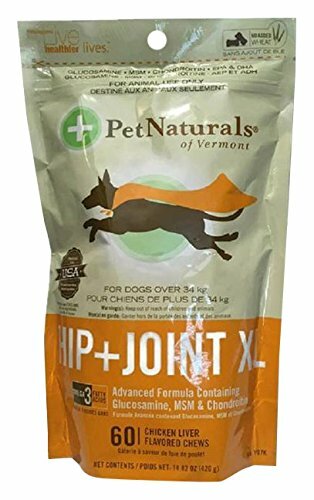 HIP+JOINT XL contains a full complement of joint support ingredients for the larger dog. 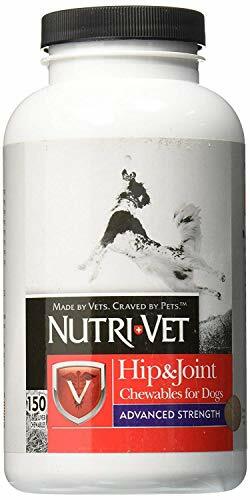 It combines Hyaluronic Acid (HA), with MSM, Chondroitin Sulfates, Glucosamine, Omega 3 fatty acids, Dimethylglycine) (DMG, Vitamin C, and Manganese for dogs with advanced need for joint support. HIP+JOINT XL incorporates Hyamaxâ„¢ brand HA into the formula because of its low molecular weight which ensures optimal absorption and utilization of this important ingredient. Based on natural oils and extracts. Absolutely safe for both pets and humans.